Several major government websites were forced offline in Thailand on September 30 when Internet activists organized tens of thousands of people to visit and refresh their home pages until the websites were disabled due to high traffic. The websites of the Royal Thai Armed Forces headquarters, Prime Minister's Office, Internal Security Operations Command, the Ministry of Communication Technology, and the Government House all went dark over the course of a few hours. Activists performed what they've described as an act of civil disobedience in protest of a recent proposal to create a single gateway for the Internet in Thailand. 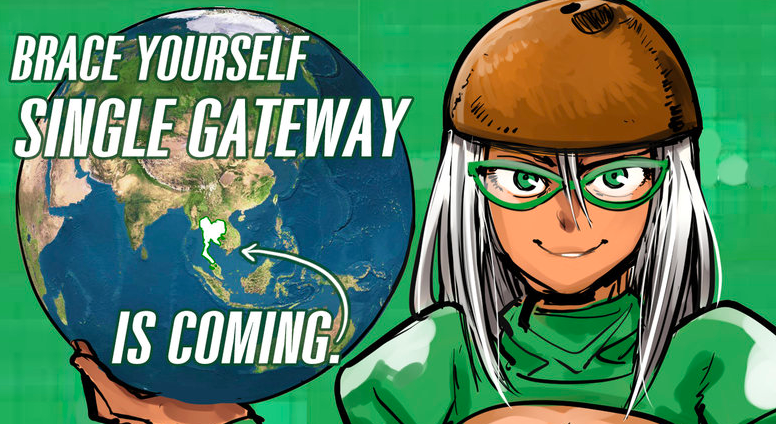 The Internet “gateway” denotes the infrastructure that connects the Internet in Thailand with the rest of the world. Since the deregulation of the IT sector in 2006, Thailand has built 10 international Internet gateways, only one of which belongs to the state. A single gateway could restrict Internet flows, which would allow the government to monitor and more easily censor Internet content. It could also could worsen online restrictions in Thailand, a particularly concerning development following last year's shift of political power to the military, which has since imposed strict media regulations. Protests are banned while critics of the military-backed government are given “attitude-adjustment” sessions. The single gateway plan has been dubbed by critics as the “Great Firewall of Thailand,” alluding to the similar program implemented by China. The ensuing online protest was organized by Facebook groups Citizens against Single Gateway and Gamers taking power back, who asked Internet users to simultaneously visit select government websites and continuously click the refresh button until the websites were forced to shut down due to an overabundance of traffic. If the government can’t even protect its own websites from hackers, how can they be expected to set up and manage a single internet gateway for all of Thailand’s bandwidth? DDOS attack tends to be linked to criminality. A more appropriate word is virtual sit-in or virtual blockade, which is a form of electronic civil disobedience. Well, strictly speaking, civil disobedience is about breaking the laws, but it is about breaking the laws in order to achieve principles that people believe to be more noble. The government does not have a plan to implement these things, but just to study it to look after the youth. People should not worry that Internet freedom will be taken away. The government needs to be more persuasive in its explanation since many Internet users have already expressed concern about the negative impact of the single gateway mechanism. As of this writing, more than 142,000 people had already signed the online petition “Go against Thai govt to use a Single Internet Gateway” on Change.org. What Thailand should more focus on than #singlegateway : developing broadband for rural area & continuing debate on Internet governance. It is not only activists who are opposing the single gateway idea. Business owners are worried that it would slow down Internet connections which could hurt the e-commerce sector. They also disputed the argument of the government that a single gateway will reduce the cost of online transactions. As long as Thailand still uses the [current] system, when these messages are sent in, we need to have people monitoring them, and rely on the media or the people to report offending messages individually to police. I have petitioned the government about this many times. There should be a single gateway in Thailand. The single benefit is to the government and security agencies. They will be able to secretly wiretap, filter, censor and monitor everything that is sent and received by every Internet user.